Is Sharing Patents vs Licensing Them, Viable? According to article, "Sharing Patents Encourages Innovation", if visiting professor of economics at the University at Buffalo, Gilad Sorek, has his way, then the crowdsourcing model of problem-solving, will now apply to patented innovations. ["Crowdsourcing is the act of outsourcing tasks, traditionally performed by an employee or contractor, to a large network of people aka "the crowd". These persons then work on these tasks and submit solutions to the outsourcing company, aka the crowdsourcer. The crowdsourcer then selects the best solution and the winning solution provider(s) is/are then compensated monetarily with prizes, recognition, kudos or intellectual satisfaction". Crowdsourcing ensures that the business solves its problems and accomplishes tasks in a shorter period of time, thus allowing it to profit from solutions, faster. An example of a company that enables crowdsourcing is IdeaConnection - they connect companies with people who can solve their business problems and work on business tasks]. In current innovation commercialization models, a company develops an innovation, patents it, then spends its internal resources bringing that innovation to market (aka commercializing that innovation). US Patent law gives that company 14-20 years to solely benefit financially from the commercialization of that innovation, by preventing its competitors from developing competitive products based on the original innovation. Prior to the expiration of the patent (which could be up to 20 years), the company or individual owning the patent, can choose to license it to one or more companies or choose to keep it in-house. Thus risking the chance that less people could benefit from the original innovation (a limitation caused by decreased ability of one company/individual to achieve full market penetration in a short period of time). What is being proposed by Gilad Sorek, is free-licensing, where no one company would monopolise ownership of an innovation. Instead, the innovation would be made available to a pool of users, who'd use their creative talents to develop ideas for new products/services based on the original innovation. ...thus tripling its profit potential? ....and the original patent holders would benefit from increased revenue from the sale of diversified products and services created by several developers. The above article itself points to an example of free-licensing that already exists, where Adobe allowed its PDF format to be publicly available, thus facilitating the development of several derivative products which enabled the format's quicker acceptance and dispersal, globally. Not only did Adobe gain increased brand recognition from going this route, they were able to use this as a foundation to roll out other Adobe products, globally, thus gaining faster market acceptance and penetration (at decreased costs) than they would have, hadn't Adobe been a household name. So is sharing patents vs licensing them, viable? Well, from the arguments presented above... yes. But how many companies would be willing to give up their present multi-billion dollar investment in patents, to migrate to this model of innovation commercialization? Just think of Apple, Google and Facebook who've built their fortunes around patents (Facebook just acquired 750 patents from IBM). Think of the thousands of patent attorneys who'll lose their jobs or who'll have to restructure their jobs, as a result of the implementation of this model. ...It's better to have 3/4 of a market and be able to expand to other markets in a short period of time, by co-opting with your competitors, than only have 1/16th of a single market, by going it alone. We've uploaded two (2) new videos to the sections to the right of our posts. These sections are entitled, "Technology Frontiers" and "High Impact Industries" and are the 4th and 7th sections from the top of our blog, respectively. Please take the time to view them...they will definitely change the way you look at your world and spark ideas that you and your companies can capitalize on. These videos represent the future of what technology will look like in the years 2021 and 2015, respectively, in the eyes of Microsoft Corporation and telecommunications firm, Nokia, respectively. ...But others are quite new. If there's anything that we've learned from concept videos, is that once companies put them in the public sphere, these technologies are being developed. I say this, because, there is a relatively new movement in place, called frugal innovation, wherein which innovators in poor countries are developing products for the 4.5 billion people in our world, who live on less than US $1 a day. People, who, even by 2021, will not be able to afford the technologies being touted in the above videos, but who, within their own communities, are making incremental innovations that make life easier, more efficient and safer for community members, thus engendering health and well-being. Peter Day, host of the "Peter Day's World of Business" on the BBC World Service, discusses frugal innovation today. ...but who want to capitalize on markets in these poorer countries, by innovating products at 1/10th of what it costs to develop same, in the "developed" world :). 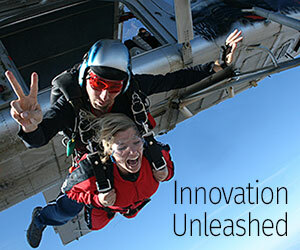 Are you an innovator who wants to change your world? In the meantime, your comments re frugal innovation and the uploaded videos, would also be deeply appreciated! Do you think that this world being envisioned, is nearer than being touted in the videos, or are these videos just too futuristic to be envisioned within the next 3-9 years? (I would like to thank SpirosK for the use of his Flickr inset video entitled, "09-Linz_Museum_of_the_Future-46").